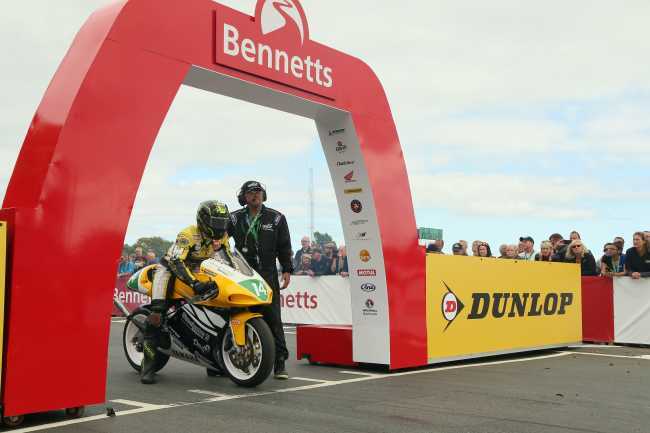 This years Dunlop Lightweight Classic TT Race at the Isle of Man Classic TT presented by Bennetts, which has attracted an entry of almost sixty riders, is wide open with multiple race win contenders. Although Bruce Anstey, who won the last two Lightweight Races and is the current lap record holder, is absent due to illness, his replacement on the Padgetts RS250 Honda - Lee Johnston - is a rider of undoubted quality starts from his usual thirteenth place on the grid. 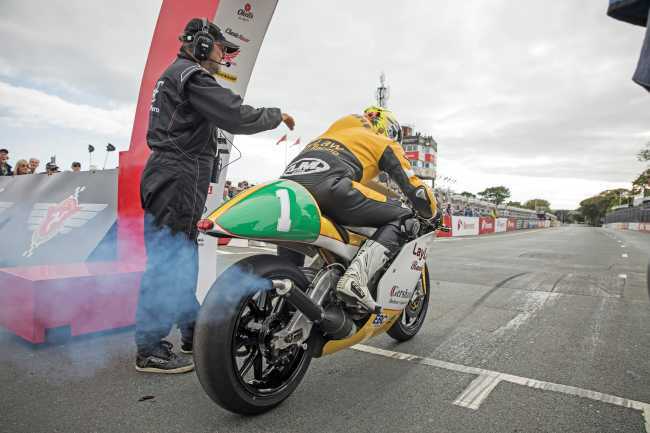 Having finished second twelve months ago, when he lapped at close to 118mph, ten time TT Race winner Ian Lougher returns with the Laylaw Racing Yamaha and starts at number 5. Daniel Cooper sets off at number one on the Turner Racing Yamaha and he will be targeting a podium place having finished fifth in 2017. Dean Harrison, another potential Race winner will head towards Bray Hill ten seconds later, riding a second Laylaw Racing Yamaha. It will be Harrison’s first outing in the class. Up and coming road race star Adam McLean goes at number three on the Binch Racing TZ250 Yamaha with Michael Rutter at number four returning on board the Red Fox Grinta Racing Ducati on which he lapped in excess of 117mph last year. 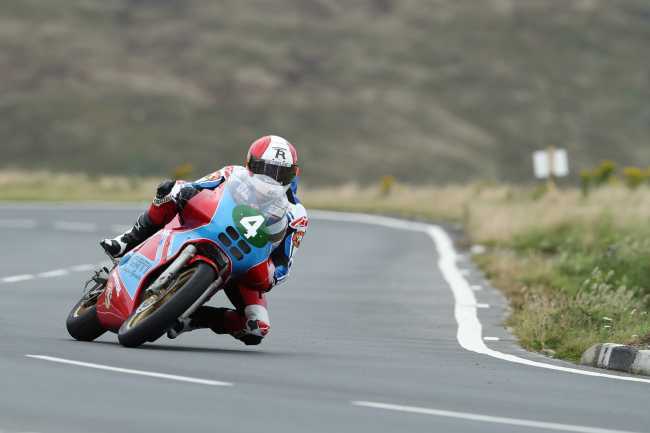 Australian David Johnson (#6) makes his Lightweight Classic TT debut and will start ten seconds back from Rutter, riding a John Chapman Racing Honda. Daniel Sayle takes the number seven plate on the Steelcote Solutions Ltd Yamaha and having been running in second place for the first half of the 2017 race before retiring, he will undoubtedly be looking to finish the race and be in contention for a race win. TT regular Michael Sweeney goes off at #9 on a second Turner Racing Yamaha ahead of veteran 250cc pilots Phil Harvey (CSC Racing Honda) and Paul Owen (Team 98 Honda) who go at number 10 and 12 respectively while Chris Moore, at number eight, is another experienced campaigner returning to the Classic TT on the Dafabet Devitt Racing Yamaha. Former Newcomers Manx Grand Prix Race winner Gary Vines (#14), Charles Rhys Hardisty (#15), Davy Morgan (#16), Stuart Hall (#17) and Rikki McGovern (#18) add further strength in depth to the 250cc field with the top twenty rounded out by TT regulars Craig Neve (#19) and John Barton (#20), mounted on Kawasaki and Ducati machinery respectively. There are also a number of talented riders outside the top twenty including 2016 Manx Grand Prix winner Andrew Dudgeon (#22), David Hewson (#26) and Danish visitor Carsten Svendsen (#28). David Madsen-Mygdal (#29), Chris Swallow (#30), Ben Rea (#33), Forest Dunn and Neal Champion also have the potential to challenge for top ten places. Dunlop Lightweight Classic TT race.